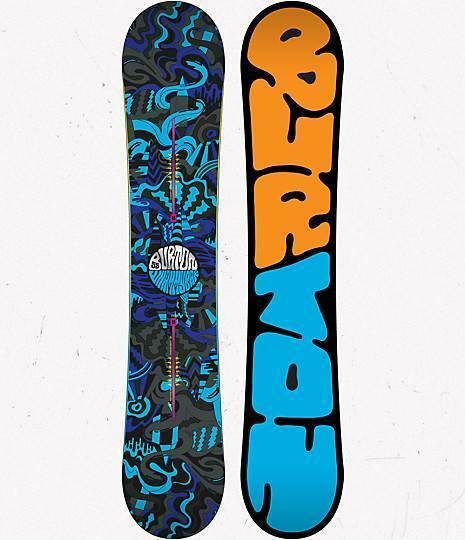 The Burton Whammy Bar is a decent priced Jib snowboard. The flex is incredibly soft and it is nice to see a sintered base instead of an extruded base in this mid $300 price range. The Whammy Bar is pretty poppy and it is one of Burton’s most catch free rail/jib snowboards. The rocker and spoon shape between the feet makes it hard to catch an edge. Like all Burton Rocker boards, the edge hold is lacking but this is a pretty fun flexy park board. You lose the edge hold but get one of the most hook free rides out there. Very little has changed between the 2011 and 2012 Whammy Bar except for a little fine-tuning. 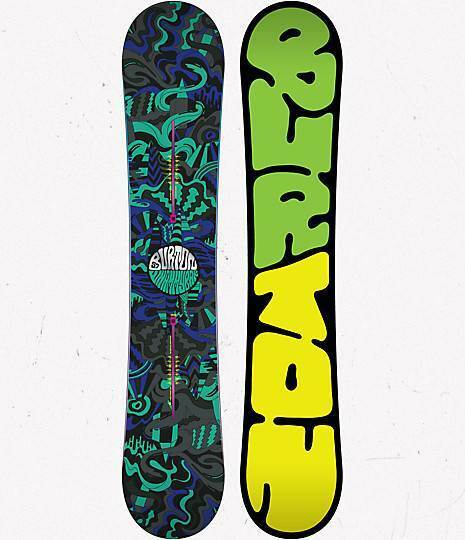 Bindings: Burton Mission, Burton Malavita EST with Hinge Tech. Conditions: One day of hard tracked up snow with icy patches and another with thick soft well-groomed snow. On Snow Feel: It’s the kind of loose playful board that you want to slide and butter all over the mountain. The Whammy bar should live inside the park or just play slowly around on the groomers. 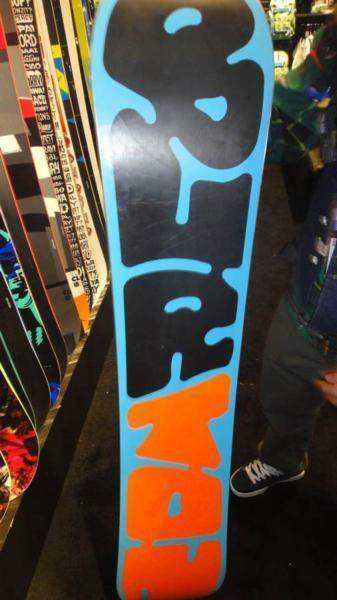 The harder the conditions the worse this board performs through. It’s not about flat basing or one footing but figuring out how to butter/press/ollie/nollie around the mountain. Powder: The Rocker on the Whammy is pretty mellow. It makes for a more stable ride and a fun float in powder but this board runs small for its size so it won’t be ideal even compared to some other rocker boards. 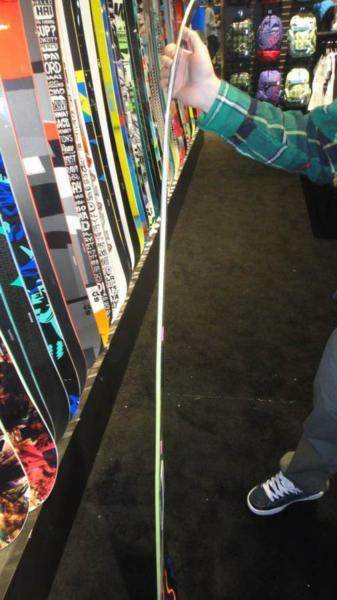 Still, it’s better than anything you can get in a camber board of this shape and flex. Turn Initiation– The Whammy Bar’s ultra-loose ultra catch-free ride comes with a cost and that turns initiation. It is very loose and any turn feel more often like a slide. We rode this board in good and hard conditions but both days it was difficult to turn. It’s not that it’s hard to get from edge to edge. That is incredibly easy. It’s just that it feels like the rail never grips into the snow to initiate a turn. It’s weird that even in some of the Burton demo videos you can see the rider slide more than turn when approaching or landing a jump/jib. If you are looking for a wide radius semi carvy turn every now and then after a few jibs you will have to look elsewhere because this is made to slide. Speed: We were on a moderate hardpack that was scraped away to create a bit of a loose layer between it. The Whammy is very typical of most Burton Rocker boards. The minute you pick up any bit of speed you begin to feel the chatter. It even creates a little noise. We aren’t talking about bombing a hill but just picking up speed from the chair to the park. Uneven Terrain: This soft v bent board handles uneven terrain at slow speeds very well. 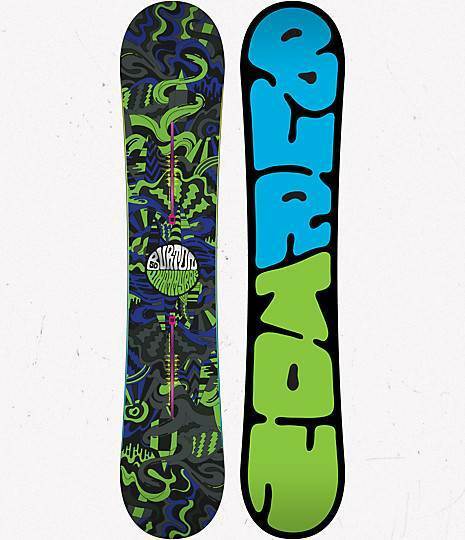 Approximate Weight– Pretty light but well built as almost all Burton Boards are. Edge Hold: We could feel the board slide out often in almost any condition. There are many jib boards that have good edge hold so this is our only major complaint about the Whammy Bar. This board is meant to slide from jib to rail. Flex: The Burton Whammy Bar is pretty soft. You could butter all the way down the mountain if you wanted to. Carving– Worthless on a carve but that is expected for a jib board. Switch: Just the same riding switch as it is regular. Rails/Jibbing: The Whammy Bar is all about the jib park and performs admirably with just about anything you want to do here. Many of us would agree that if we only rode in good conditions and in the jib park this would be one of our top picks. It can make you ride better in the jib park. The coolest thing about the Burton Whammy Bar is the slightly spooned out nose and waist tail. It’s almost impossible to hook up on a large technical rail, box or any kind of jib. When going through the park our confidence was up and everything just felt easier. Pipe: Not a pipe board and just not something I’d even want to take in there. Jumps: The whammy bar is decently springy when it comes to creating your own air. It’s pretty soft and not stable at high speeds so the Whammy Bar won’t be the best for lapping a big roller coaster style park. However, it will have a good time on most medium to small hits. 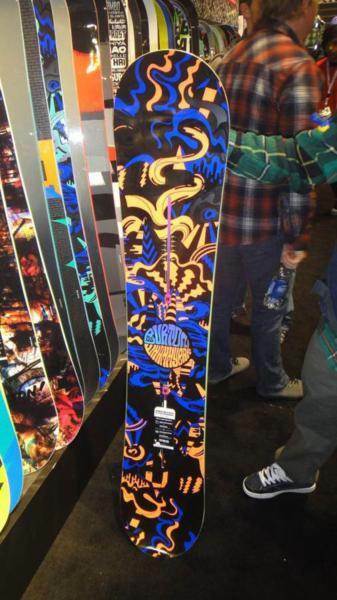 When we tried the whammy bar with the 2012 EST Malavita bindings everything was the same except it was much easier to generate your own air. The Malavita EST with “hinge tech” is definitely the best binding choice for the Whammy bar. Our conclusion is this is a great jib board. Our only real complaint would be the lack of edge hold but other than that this is a very flexy fun ride. We try to get as many images of the Burton Whammy Bar, but forgive us if they're not all there.